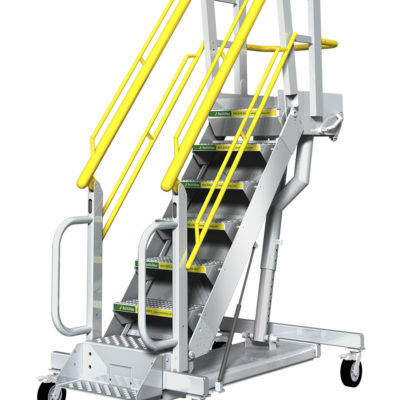 Get the Stability of Fixed Stairs & Work Platforms with the Mobility and Flexibility of Rolling Stairs. Rugged, durable powder coated steel construction, perfect for both interior and exterior use. 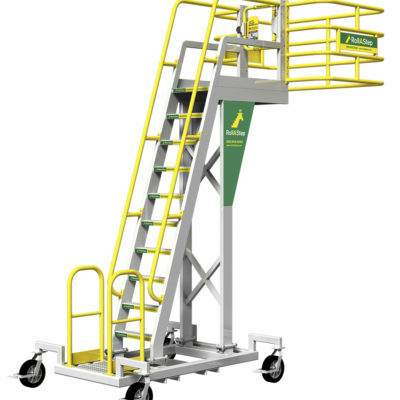 Rolling stairs and mobile work platforms vary based on your application. They’re easily customized for added operational efficiency in manufacturing plants or improved workplace safety in aviation maintenance. Four pre-engineered industrial models minimize physical exertion and risk of injury. 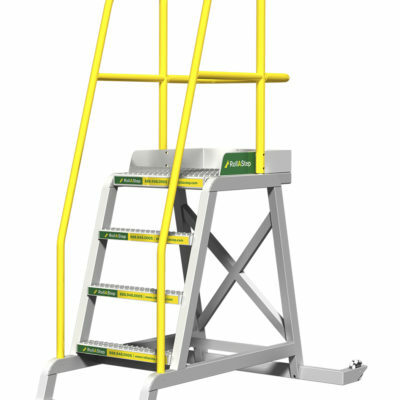 Workers gain safe access and fall protection plus greater productivity. 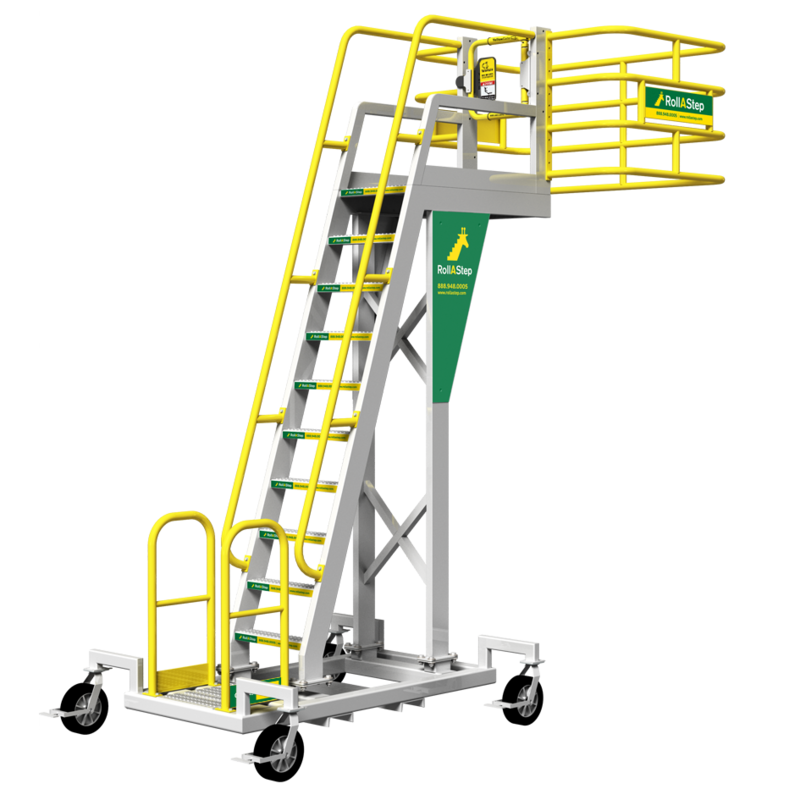 If your elevated workspace is more complex, call us for a free quote on custom fabricated mobile platforms and stairs. 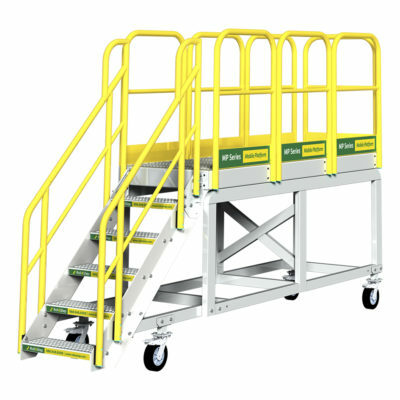 All mobile stairs and platforms are both easy to maneuver and reliably sturdy to help you get the job done easier, faster and safer.